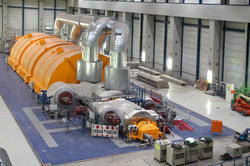 Owing to the wide experience in this domain, we are instrumental in offering Electric Steam Generator to our clients. • Fully automatic working with low running cost. 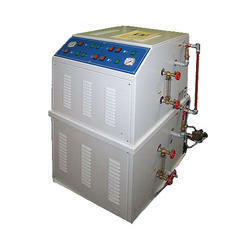 • Unique water preheating system. • Burner controller ensures safe working. Electric Steam Generators (ESG series) are available in three models of 9KW, 18KW & 27KW coils with steam output of 12kg, 20kg & 35kg/hr respectively at a working pressure of 2kg/cm2. Our company holds immense experience in this domain and is involved in offering wide assortment of Exhaust Hood. Masila Ariya Kitchen Equipments Pvt. Ltd.
- Ramsons steamatic oil fired boilers are a perfect and highly reliable solution for steam generation in today’s age of acute power shortages. - Ramsons are one of the few Indian companies registered with Indian Boilers Act and these boilers are entirely IBR compliant. - elegant look, lightweight, single phase. - stainless steel vessel, 304 grade insulated. - dry hot steam produced at high temperature and high pressure to free wrinkles. - three separate safety devices in sequences not only to avoid accidents but also to protect the systems.